Many of the rock and mineral kits available on our site have eBooks on CD included which add to the fun and educational experience of each kit. We hope that you will download the samples of these eBooks to see the types of activities included in each book. If you have any questions about our kits or books, please let us know ! Click the links to download the samples of each book. The Rock Detectives Camp Guide is a hands-on curriculum for summer camps, schools and home school. Click the link to download a sample of the Rock Cycle Kit eBook. Click the link to download a sample of the Rock & Mineral Coloring & Activity eBook. 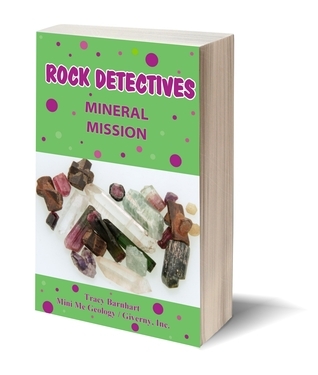 Click the link to download a sample of the Rock Detectives Mineral Mission eBook. Click the link to download a sample of the Rock Detectives Crystal Experiments eBook. Click the link to download a sample of the Rock Detectives Crystal Geometry eBook. Click the link to download a sample of the Rock Detectives Igneous Investigation eBook. Click the link to download a sample of the Rock Detectives Metamorphic Mystery eBook. Click the link to download a sample of the Rock Detectives Sedimentary Sleuthing eBook. Mini Me Geology offers three levels of licenses for our eBooks. Single User, Multiple User and District User.